As it (finally!) starts to feel like fall outside, I like everything around me to be as cozy as possible. I break out a ton of blankets, candles, and warm lighting in my house to really get me in the mood for changing seasons. 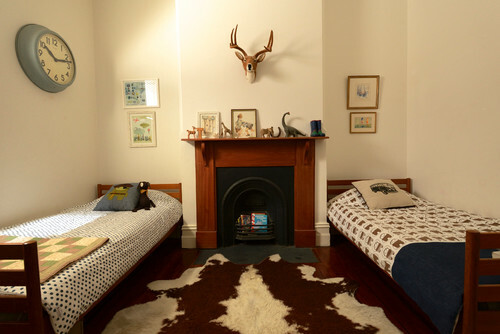 We tend to keep our house very maximalist, with texture, color and pattern everywhere, so cozy is easy to achieve. But that is far from the only way to warm your house up for the colder months. I went looking for inspiration on the coziest bedrooms out there of many styles to help you hunker down. All links open in new tab so you can view and read. Simple and modern, the dark tones in this bedroom are warm and inviting. Start with the rustic wooden bed with metal accents, like our Mies. Keep it modest and clean, but bring in richness and texture in the few accents you choose. Instead of layering, they chose a luxe, heavy duvet, and decidedly cold weather throw pillows (the faux fur trend is everywhere). Finish off with a lavish rug to tie in the design and give that extra level of coziness from top to bottom. A frosty, shiny take on a cold weather room. 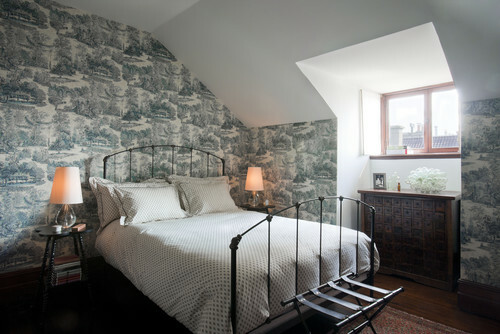 To get this look, use a rich upholstered bed as a base- our Linen Hampton would work well here. Choose a few bold, lustrous pieces for bedding, and leave them casually draped. Stick to a lighter, blush palette and metallic accents to keep things feeling elegant. Keep the bedding fluffy for ultimate luxury. A softer look, with just enough heavy accents to take it away from spring and summer. If you don’t like the classic warm tones of fall, this more accessible look is just right for you. Start with a simple platform bed, like our Madera. Accent the bedding with soft, light colors. Fill in the headboard void with a small abstract gallery, keeping the the color tones complimenting to the bedding. Add a faux fur throw and some knit elements for a transition into fall. This classic bedroom pairs bright white linens with a few accents that makes it just cozy enough for autumn. Use a bed that is simple and white. 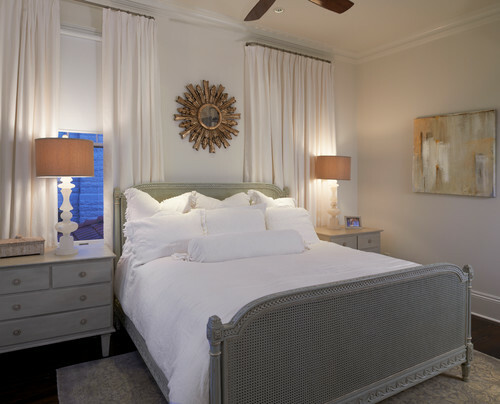 Our Newhouse headboard in Belgian linen would perfectly compliment the soft neutral tones here. The oversized pillows and puffy feel of the linens make it perfect for snuggling. 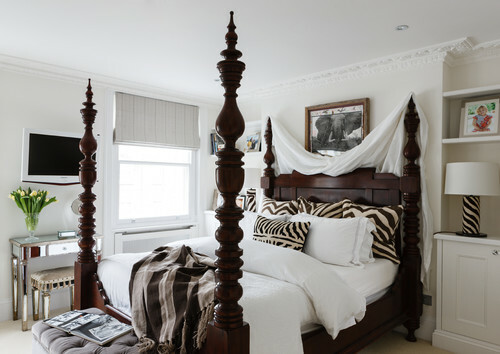 Our striped duvet cover would enhance the traditional feel of this space. The central piece of artwork is great to carry over many seasons, and the area rug warms up the floor for chilly mornings. I had to throw in one with the classic warm colors of fall and a BoHo look that is totally my taste. 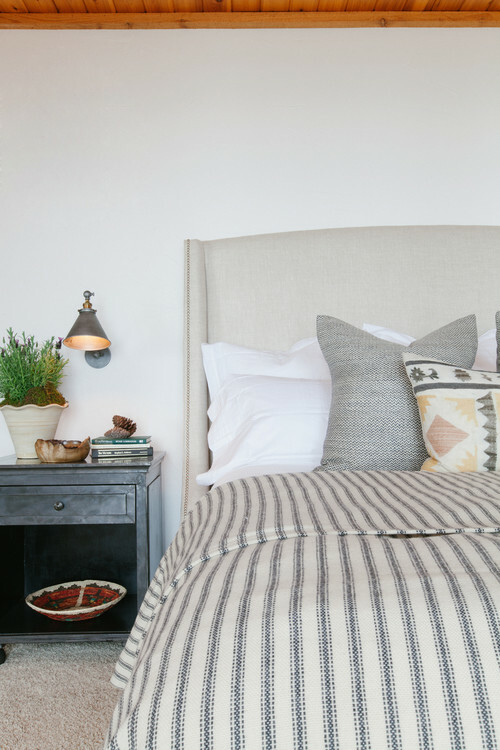 Starting with a mid-century looking bed (our Alana with the upholstered headboard would be a great addition), simple textured linen patterns are layered for the perfect warm look. The rug combo feels eclectic, and the autumn florals on the nightstand are the perfect touch. It’s a great time of year to cozy up and spend some quality time with the cool Autumn air gently blowing into your bedroom. Enjoy it now before you have to get the heater going and your windows closed tight! New Orleans is a town with its own style and energy –– one that dances to its own pace and claims the French Quarter as its most vibrant neighborhood. Since NOLA is brimming with architectural gems, it’s no surprise that the interiors would be well designed both functionally and aesthetically. These five stylish New Orleans bedrooms are but a few examples of how the city shines from the inside out. 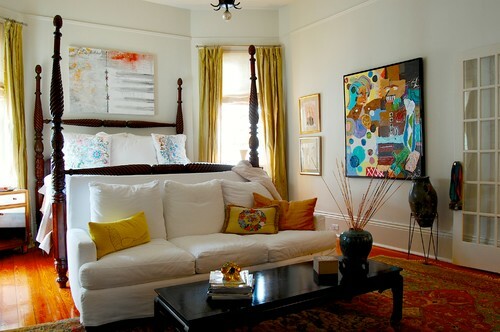 This Victorian bedroom goes bright with colors, and mixes traditional furniture with modern art. Details like rich hardwood floors, high baseboards, and picture mold stand out while celebrating the home’s history. A tall headboard and color-block draperies allow this spacious guest room in the Chateau Bourbon Hotel to take on a contemporary feel. 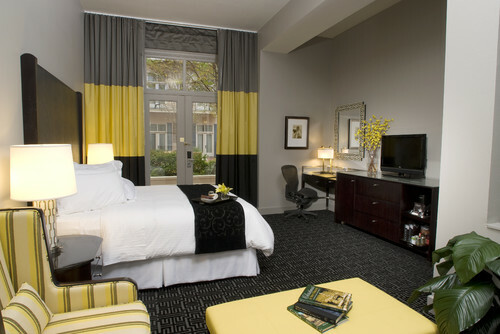 Yellow adds life to the black, gray, and white color scheme. All paint colors in this space are by Benjamin Moore. 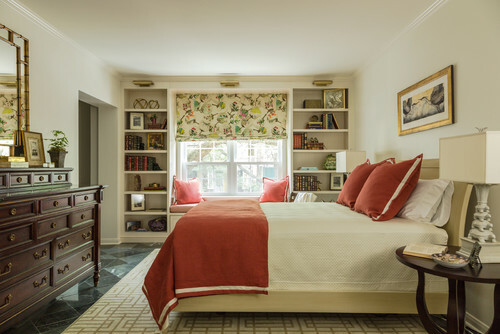 Located in the Garden District, this condo bedroom by Susan Currie Design honors traditional interiors with architectural elements like built-in bookshelves, a window seat, and crown molding. 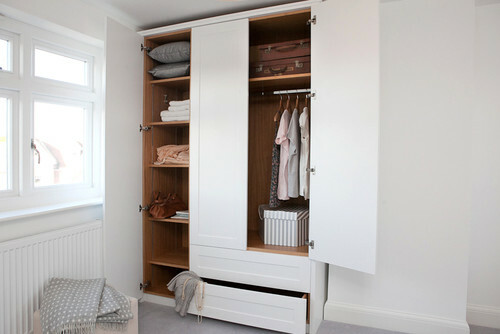 Every detail is in place, but this uncluttered design is both practical and attractive. 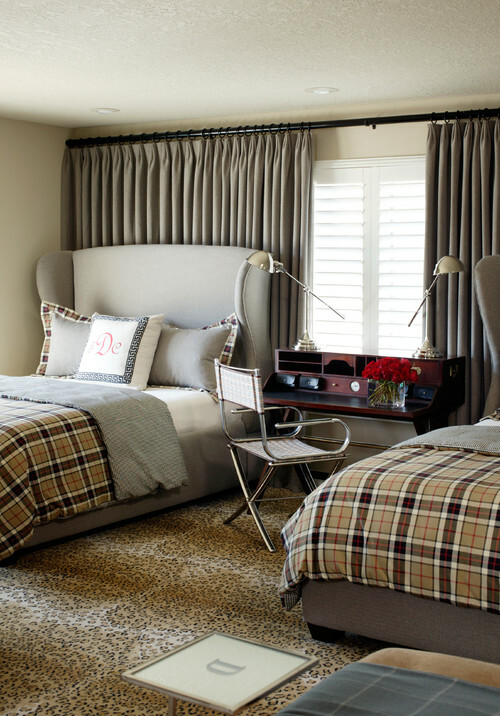 This transitional bedroom by Jennifer DiCerbo Interiors remains neutral throughout. 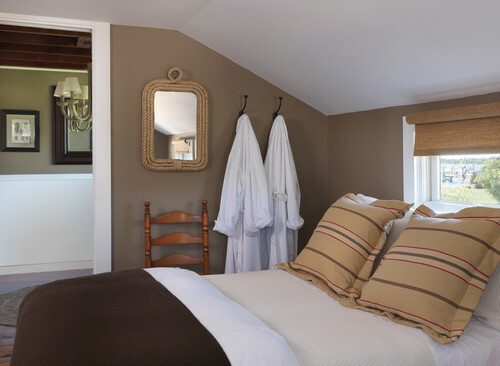 The bold sunburst mirror above the bed draws the eye, adding interest to the space. In the Warehouse District of New Orleans, this apartment bedroom has been completely renovated. 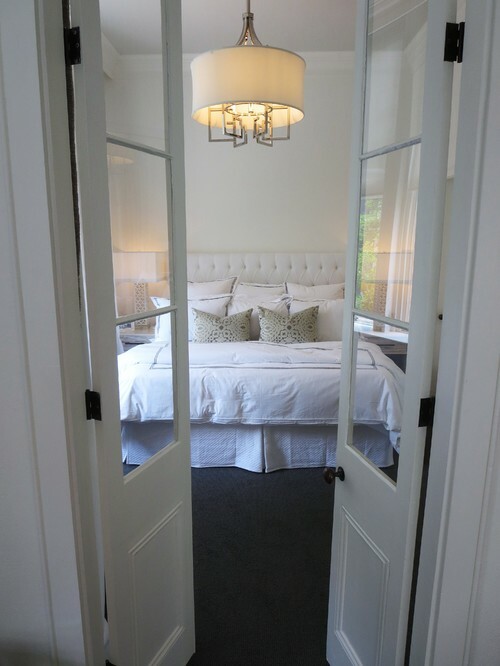 The vintage French Quarter doors were pulled inside to complete the look.